During the Annual CECO Awards Breakfast at the San Diego Public Library in March of this year, St. Madeleine Sophie’s Center was presented with a check for art supplies and materials. 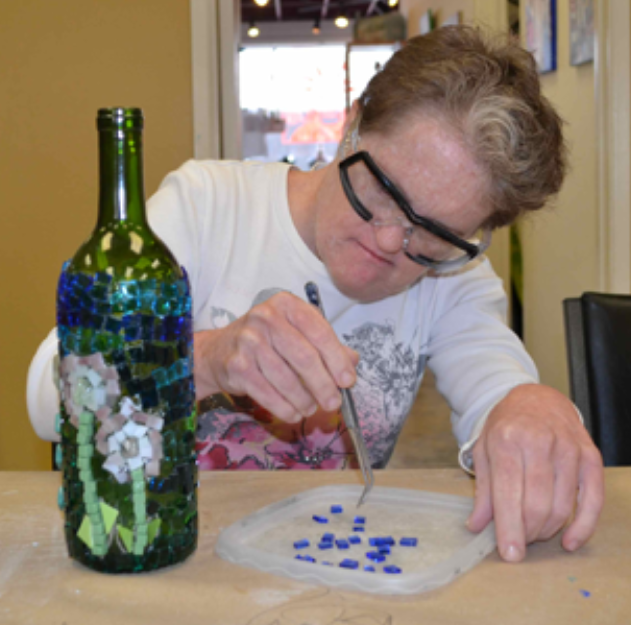 This donation will support Sophie’s Gallery Art Program for 300 adult students with developmental disabilities who benefit from the program every week. Sophie’s Gallery Art Program is designed to help our students gain self-sufficiency and inner fulfillment through meaningful work and self-expression. Specifically, these funds will be used toward the purchase of much-needed supplies and materials for Sophie’s fabric arts, mosaics and fused glass departments. 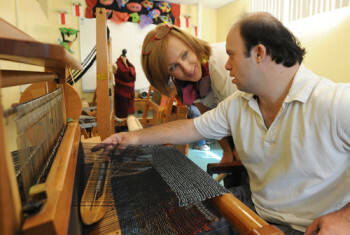 The grant will benefit 300 artists with developmental disabilities the opportunity to make hand-dyed clothing, silk-screened clothing, fused glass décor, and mosaic plaques that will be for sale at our three gift stores and various shows at Sophie’s Gallery and SMSC events. Supplies and materials will offer the students a chance to learn new techniques; hone their skills; teach patience and concentration; provide the opportunity to earn a moderate income; and most importantly, increasing their sense of self. Thank you, CECO! We are deeply grateful to CECO for their caring generosity and ongoing support of St. Madeleine Sophie’s Center and the individuals with developmental disabilities whom we serve.